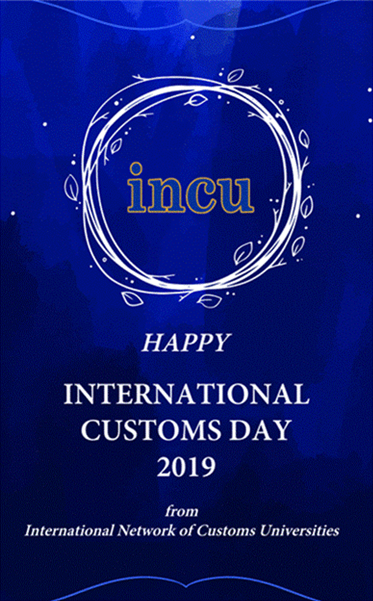 Happy International Customs Day 2019! Every year on 26th of January the international customs community celebrates International Customs Day, which recognises the role of customs officials and agencies and focuses on the working conditions and challenges that customs officers face in their jobs. The SMART borders is to strengthen the whole-of-government endeavour to facilitate trade and travel and mitigate threats inherent to the cross-border flows of goods, people and means of transport.The WCO Secretary-General delivered a video address on the occasion of International Customs Day. The INCU wishes you all a prosperous professional year and new achievements in international customs academic and research cooperation and in promoting the academic standing of the Customs profession.